Who doesn't love a good drink? Winter Winederland came back again! Lets just throw it out there now: The Wine Bar treats us VERY well. Outside of my Halloween connections, I'd go as far as saying that they're probably the biggest supporters of my Tampa project. This came to a head when Jayme gave Stormy and I tickets to this year's event, and even provided extra for my parents to come. I guess she remembers how much my mom enjoys this event! (For those who weren't around, the first time my mom went to this event, she was beyond drunk when she left. We still make fun of her for it today.) So, how did this year's event turn out? I'm getting there, sheesh! Lets start by saying that they changed up the event slightly this year. The price was $75, but they were popping $100+ bottles of wine. There was no lack of wine either. 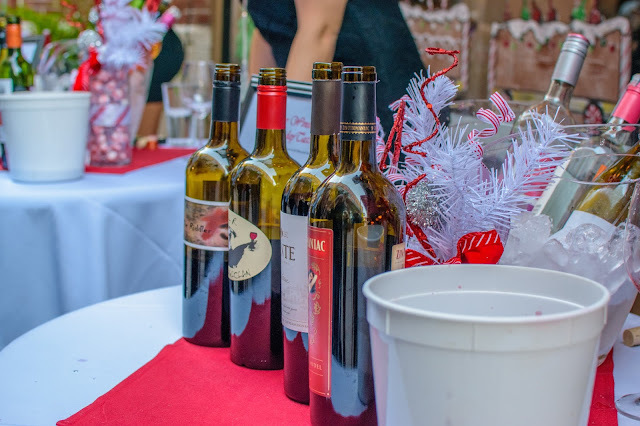 Each table was arranged by company, each company had different styles of wine. Nickel & Nickel was, by far, the most popular. Outside of the wine, they also offered up some bubbly and one table even had champagne! Some say the pours were modest, but as someone who really doesn't drink wine, I didn't notice. You could also get another pour, so I didn't see the big deal. Everyone from both Ybor City and Seminole Heights showed up to work the event, as well as customers from each location. This was a nice event to rub elbows with important business figures in Ybor and Seminole Heights, as well as local political hopefuls and Tampa natives. The crowd is what makes an event like this. Now lets talk about my favorite part of this event: The food (naturally). Jayme has found a caterer who makes, quite possibly, the best rice I've ever eaten. I could not be happier with it. And, while a bit of a strange choice, some chicken wings complimented the rice. Both were excellent, but nothing compared to the snack table. 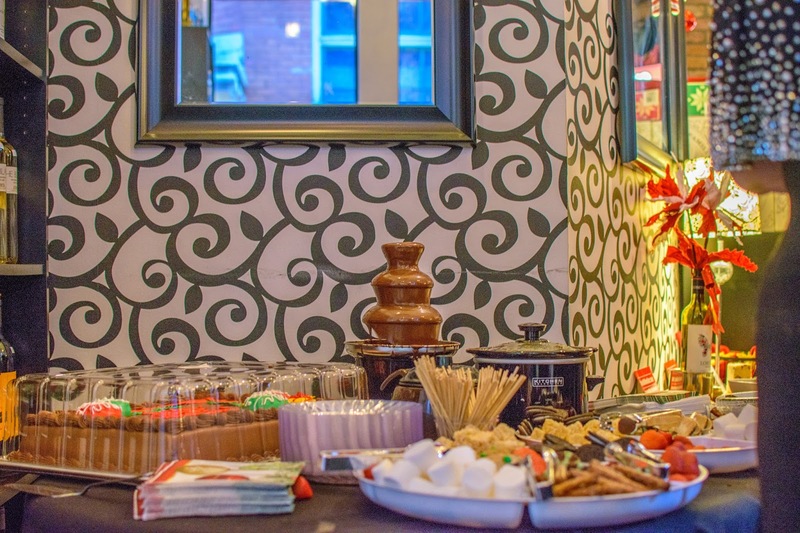 Rice Krispy's, marshmellows, cookies, and even fresh strawberries... All to be dipped into the (tiny) chocolate fountain! Next to the sweets there was a board full of nice cheeses and some meat to compliment it all. There was no expense spared on this event, which can't be said about most events along these lines. 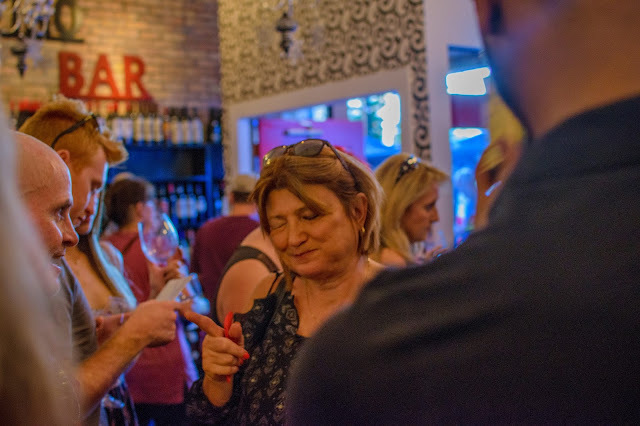 Lets talk about the one downside for this event: The Ybor City Wine Bar isn't very big. This means that, when an event is thrown, the crowds pile up. There were people everywhere. This is good for the wine bar, as this means that they're making bank, however, for the people attending, it wasn't as much fun. 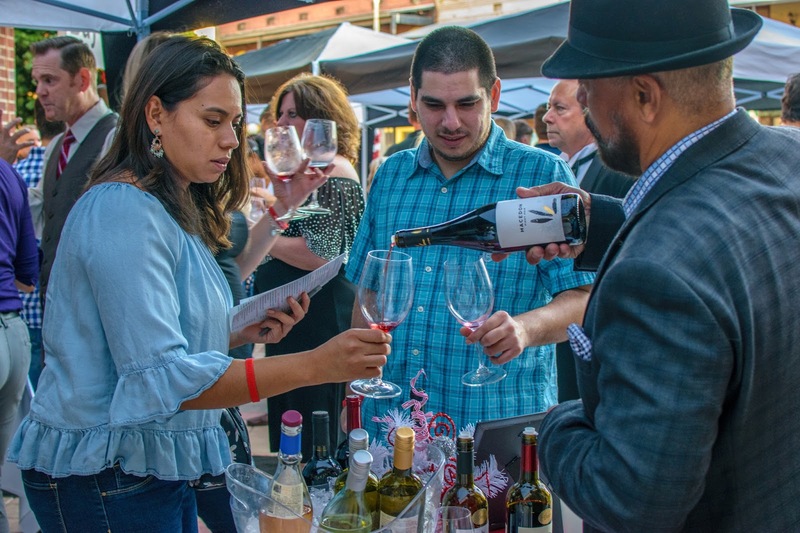 The Nickel & Nickel table (aka: the most expensive wine at the event) was right next to the snack table, meaning that, in order to get some snacks, you had to fight your way through the crowd. Luckily the rice and chicken was on the patio, meaning you weren't being funneled through a narrow store. The only solution I can think of, however, would be throwing this event in sessions and limiting the number of people per session, which would hurt the profits. I understand why it's as crowded as it is, but if you're not expecting it, it could be a bit overwhelming. 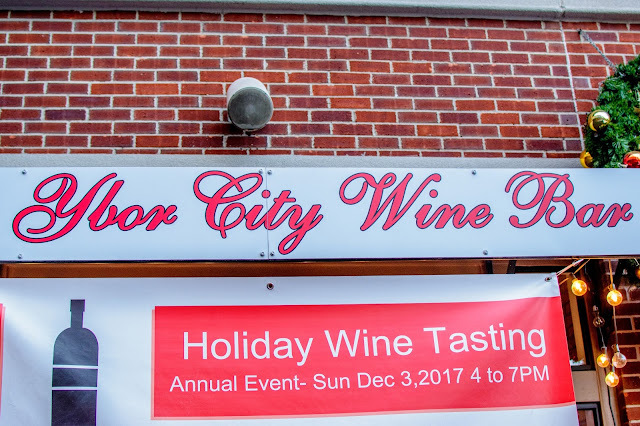 - The event is annually at the Ybor City Wine Bar in December. - There is no dress code, but if you aren't dressed up, you will stand out. - There is absolutely no expense spared during this event. The food and snacks are just as good as the wine. - Parking is limited to the garages. Were you at the Winter Winederland? What was your favorite bottle of wine? Leave a comment below. If you'd like more information on Tampa, check out my YouTube Channel and if you'd like to support my efforts, don't hesitate to buy a shirt from our Spreadshirt (we have new designs!). Also, don't be afraid to click subscribe and you'll instantly be notified whenever a new entry is posted. Thank you all and I will see you next time!